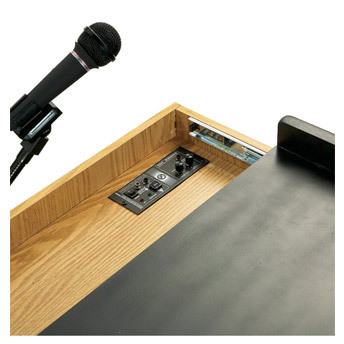 SCL Multi-presentation Stand by Oklahoma Sound is perfect for presentations and seminars. 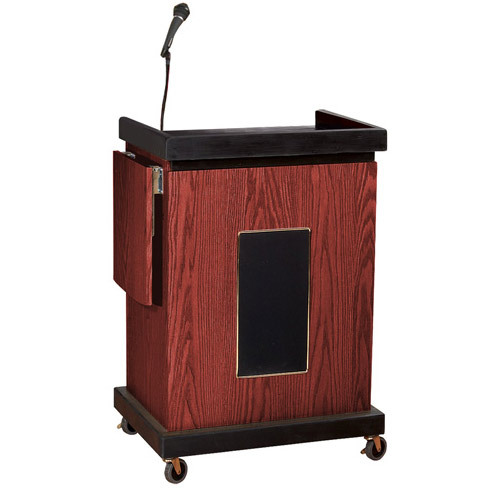 This locking cart lectern is an affordable and computer friendly furniture. It has the provision for various equipment in one unit. Three locking doors provide secure storage on three inner shelves for equipment and A/V material. 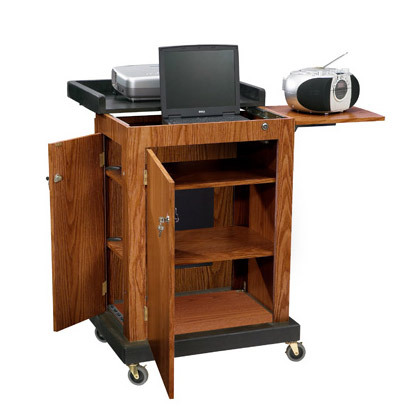 The stand has 2” deep area where a laptop can perfectly fit in and a slide out locking shelf for projectors and multimedia equipment. It moves in industrial casters. Mahogany finish only.